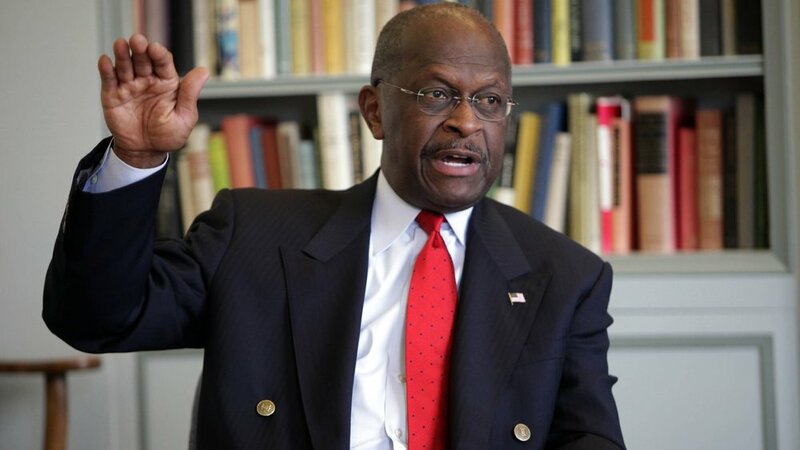 Last Thursday, President Trump announced that he will nominate Herman Cain to the Federal Reserve Board. Cain was a former 2012 Republican presidential candidate and ex-CEO of Godfather's Pizza. Sexual harassment allegations ultimately lead him to suspend his run in 2012. The Federal Reserve Board sets the monetary policy for the U.S., along with five Federal Reserve Bank Presidents. The seven members of the board are appointed by the President and confirmed by the Senate to 14 year terms. President Trump has already appointed four of the five sitting board members. Cain’s nomination paired with recent nomination of Stephen Moore would fill the two empty spots. The right focuses on fleshing out Cain’s qualifications for the job to push back that he is only a partisan nomination. They highlight Cain’s experience serving four years on the Federal Reserve Bank of Kansas City. The articles also support his nomination by highlighting Cain’s advocacy for a return to a gold standard and the narrowing of the Fed’s mandate to focus on maintaining stable prices. The left sees Cain and Moore’s nominations as Trump’s attempt to fill the Federal Reserve with "loyalists". The articles believe that their “only real qualifications are loyalty to Trump”. They reinforce their arguments by pointing out to Cain’s role in founding a pro-Trump Super PAC last September and Moore’s role as a staunch Trump loyalist on CNN. Articles on both sides acknowledge that Cain and Moore are controversial picks for the Federal Reserve Board. They view the past sexual harassment claims against Cain as a major roadblock to his confirmation. The articles agree that Cain’s extensive career as a businessman and several runs for political office provides the Senate a plethora of material to scrutinize if his nomination makes it to the Senate hearings.